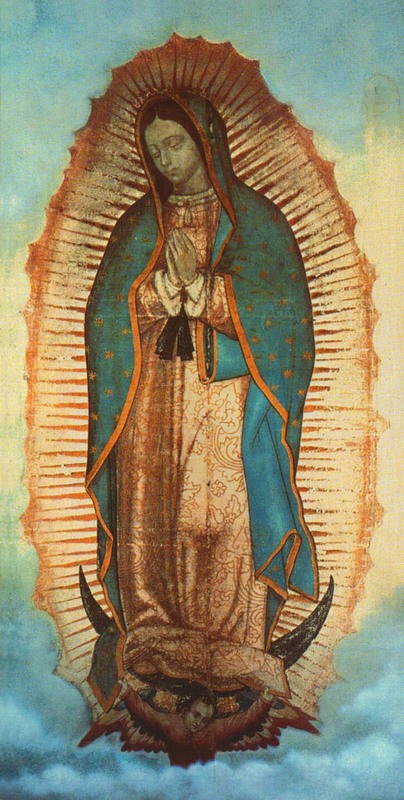 Today we celebrate the great Marian feast of Mexico – Our Lady of Guadalupe. Known as the Patroness of the Americas and patroness of my home diocese, Phoenix, the Virgin of Guadalupe is loved by both Mexicans and Americans. 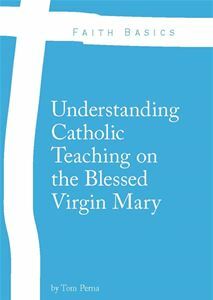 Not only does this continent love her; many Catholics across the globe also have a great devotion to Our Lady under this title as well. 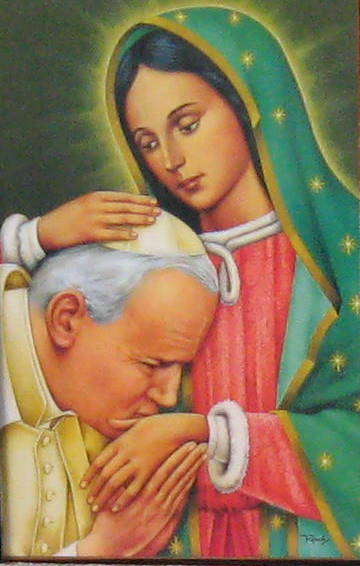 One man who had a deep devotion to the Virgin of Guadalupe was Pope St. John Paul II. 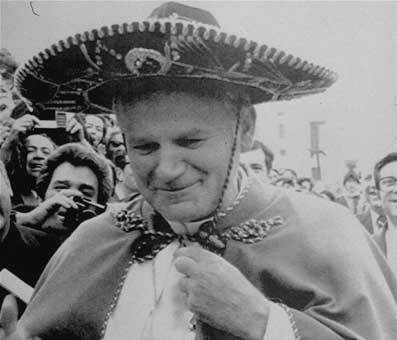 Visiting Mexico five times during his Pontificate, John Paul II loved visiting Mexico and speaking about Our Lady of Guadalupe, once saying he knew what it felt like to be a “Mexican Pope.” He also understood the correlations between his home country of Poland, and that of Mexico – two Catholic nations that had endured persecutions, yet remained faithful to Jesus Christ and the Catholic Church. Pope St. John Paul II…Pray For Us. Patroness of the Americas, Our Lady of Guadalupe…Pray For Us. This is not only idol worship but an abomination unto God who forbids the worshipping of saints and Guadalupe. Not only that. The pope calls himself the “The Holy Father” There is only one Holy Father which is God himself. God has said “Call NO MAN father upon the earth for there is ONLY ONE FATHER which is your father in Heaven. (Matthew 23:9). The male figure in your life – the biological man who gave you his DNA – what do you call him – Father? Did our Lord mean that we shouldn’t call our Dad’s Father? I don’t think so. You are obviously reading this scripture verse incorrectly. When Our Lord says that – he means that we should not put anyone above God the Father, since he is our Primary Father, it does not mean we shouldn’t call anyone else father. The Holy Father, Our Lady, and the Saints are not equal to God the Father and God the Son, they are always subordinate, never equal. Worship and Adoration is meant for God and God alone. No need to put things in Caps either – it comes across as yelling. Next time, I will just delete the comments. No need to yell at me.